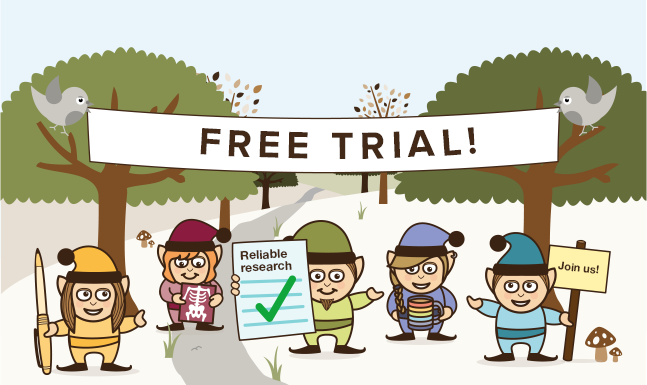 Here at the National Elf Service, we are committed to highlighting and discussing evidence based practice. Our usual approach is to focus posts around a piece of recently published research, but this post is different, responding as it is to the tragic events of last year that led to Connor Sparrowhawk’s death. Just over a year ago, Connor was admitted for assessment to Slade House Assessment and Treatment Unit, run by Southern Health NHS Foundation Trust. 107 days later, whilst still in their care, he had a seizure in the bath and died. Connor was 18 years old and fit and healthy. 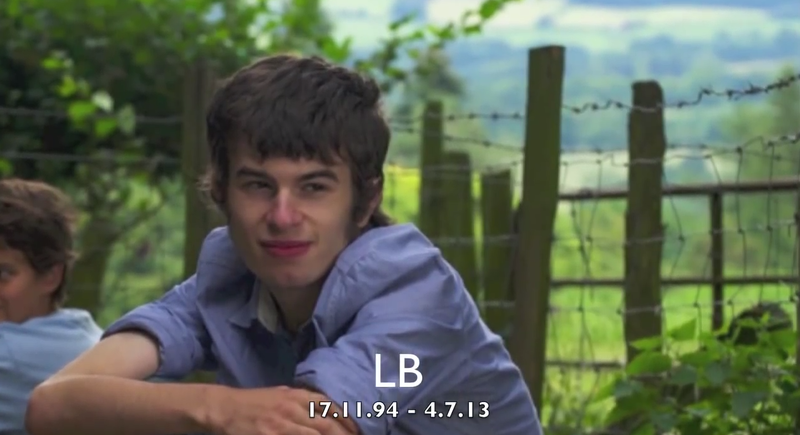 Known as LB online, short for Laughing Boy, he also happened to have autism and epilepsy. An independent report, commissioned by Southern Health (after huge pressure from Connor’s family), stated unequivocally that his death was preventable. The reaction to Connor’s death has been huge. Outrage and desperate sadness have fuelled what is ultimately an overwhelmingly positive, proactive and determined campaign for change. 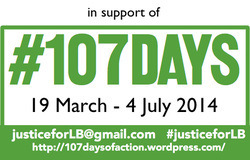 #107days of action started on Day 0: Wednesday 19 March, and will continue until Day 107, the first anniversary of LB’s death, Friday 4 July 2014. Today is Day 62. I work with Connor’s mum, Sara. It was unusually busy in the office, the day that Connor died, with many of our group’s normally nomadic researchers home to roost. As Sara ran out of the office, phone glued to her ear, none of us had any idea what was coming. As a research group dedicated to giving a voice to people’s experiences of health and illness, we are all used to doing our very best to maintain a healthy distance from the often sad and disturbing stories we hear. This was different and Connor’s death has changed us all. 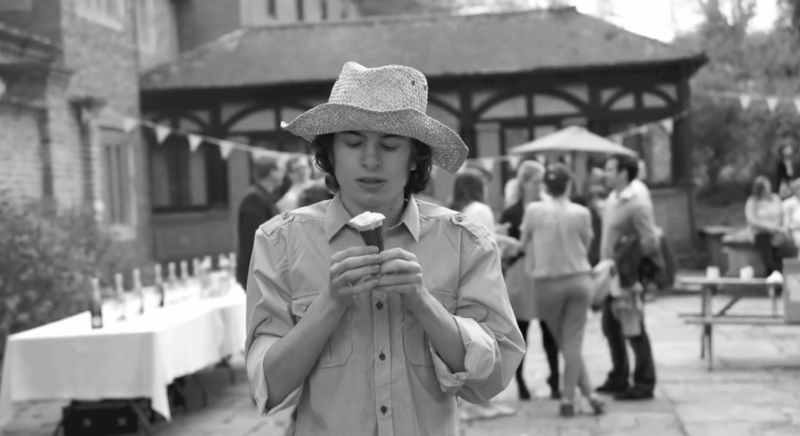 The ups, downs and general hilarity of life with Connor are well-documented by Sara in her blog, as is the pathway to Connor’s admission to the local psychiatric learning disability unit as his behaviour became increasingly challenging. Her accounts of his growing agitation and anxiety and the monumental frustration and effort involved in navigating the mental health and social care system are at once moving and infuriating. The post on the day he was admitted to the unit is bitterly poignant, tinged with both relief and disappointment, completely unaware of the horror on the horizon. Following his admission to the unit, we see Connor being funnelled down a heavily-scripted, non-patient-centred path, and Sara’s blog posts make one thing startlingly clear: a marked deterioration in Connor’s state of mind and sense of self, leading to him being sectioned, medicated and misunderstood. 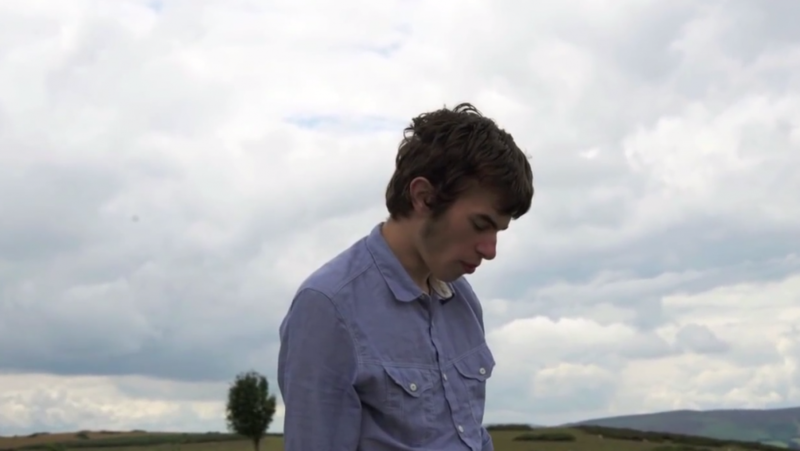 Having been neatly categorised as “learning disabled”, Connor’s epilepsy went ignored. This myopic approach ultimately caused his death. However, this is not a soapbox rant or naïve call to arms. The unit in question has been closed to new admissions, the legal fight for justice is trundling along. Rather, I asked to write a blog for one of the #107 days because I want to be part of the growing army trying to jump-start a conversation about why it is that our learning disabled and mentally ill friends, siblings, parents and children are still so marginalised by our health system. Despite our apparent familiarity with words and phrases like depression, Time to Change, patient-centred and equitable in our public discourse, we still treat people with learning disabilities and mental health problems like second class citizens. We all know that mental ill-health is common, affecting one in six adults at any one time and we also know that people with learning disabilities have an increased likelihood of developing mental ill-health, with figures ranging from 25-40%. So can it be that research consistently highlights evidence that people with learning disabilities have higher levels of unmet need and receive less effective treatment? 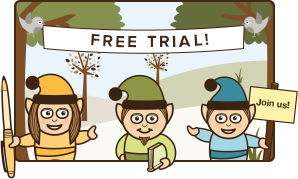 So, let’s highlight some of the recent material on the Learning Disabilities Elf that tackles this subject – what does the evidence say? Connor was a fit and healthy 18 year old who loved buses, London, Eddie Stobart and speaking his mind. It is now two years since Winterbourne View was exposed by the BBC’s Panorama programme and yet young people with disabilities are still being sent to treatment and assessment centres with devastating effect. Following the Winterbourne View scandal, NHS England agreed to “review all current hospital placements and support everyone inappropriately placed in hospital to move to community-based support as quickly as possible and no later than 1 June 2014” (Winterbourne View Concordat signed December 2012). As the first set of quarterly data, published in March, confirms, this target has been completely missed. In a recent interview with the Local Government Chronicle, care and support minister Norman Lamb offers a scathing assessment of the situation, calling it an “abject failure”. This is particularly galling in light of the fact that there is no shortage of guidance in this area. 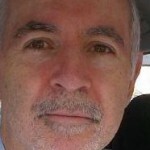 The Mansell report, originally published in 1993 and ‘refreshed’ in 2007, uses exemplar services to identify what actions need to be taken to effectively meet the needs of people with challenging behaviour, and is very clearly focused on personalisation in support and prevention of the escalation of challenging behaviour in social care settings.There is also clear guidance that supports this policy direction, with Transforming Care clearly calling for local expert services, based on the best evidence. Commissioners have been given clear guidance by the Local Government Association and NHS England on how to commission quality services for people with learning disabilities and/or autism who display or are at risk of displaying challenging behaviour which is absolutely clear in its call for the implementation of Positive Behavioural Support (PBS), a holistic approach and working in partnership with families and other stakeholders. One of the chapters focuses entirely on the evidence that challenging behaviour is reduced by better meeting needs and increasing quality of life. There is also practitioner guidance, with the Royal College of Psychiatrists, British Psychological Society and Royal College of Speech and Language Therapists producing in 2007 a report called ‘Challenging behaviour: a unified approach’, which called for a better focus on the individual and the creation of what the authors called ‘capable environments’, which related to both physical and relational environments. Social workers also received guidance from The College of Social Work that stressed the importance of human rights and the promotion of quality of life in addition to preventing harm. 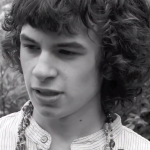 The #107days campaign seeks to inspire, collate and share positive actions being taken to support #JusticeforLB and all young dudes. Connor’s mum Sara herself wrangles with the ‘what’s the point of academic research?’ question in a recent blog post. The passive provision of guidance and information is not sufficient to bring about whole system change. At a time when we still place people with learning disabilities on the geographical and philosophical margins of our communities, this is also not about money or bashing individuals. Rather, this is about minding the translational gap, about remembering that talking about is not the same as talking to. Above all, Connor’s death is a cold, hard warning: academic and personal disconnection from the visceral reality of living with learning disability and mental illness is a dangerous habit to get into. @LearningDisElf @JusticeforLB Partly to do with negative impact of still used medical model. Wow, we had an amazing response yesterday to our #JusticeforLB blog http://t.co/MaRV0j0REE Big thanks to everyone who read it & responded!